Will your next outing take you into high mountain terrain? 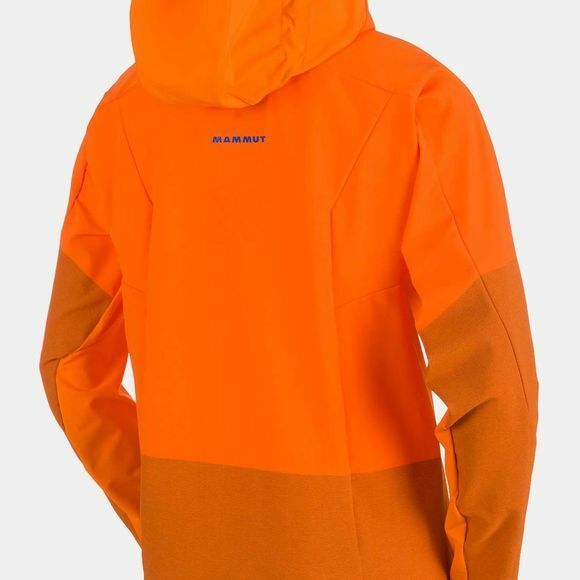 The Eisfeld Light Softshell Hoody from Mammut will add the perfect finishing touch to your equipment. 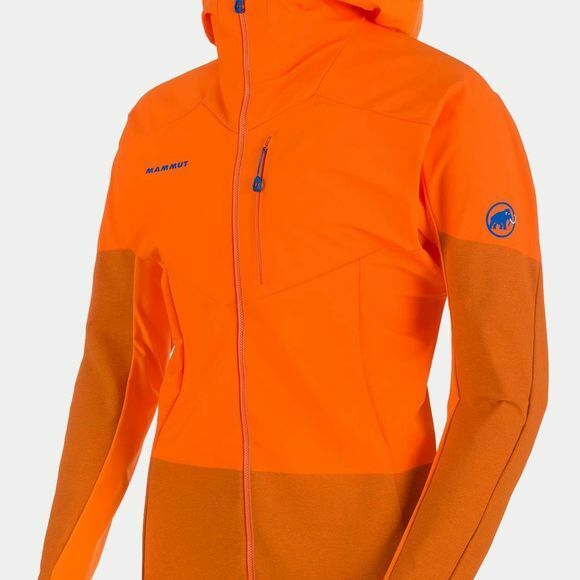 Designed for alpine conditions, this hoody features Mammut Seamless Reinforcement™ - innovative, seamless integrated abrasion protection for unrestricted freedom of movement and a very modern look. The highly breathable schoeller®-dryskin soft shell material with 4-way stretch fends off any gusts of wind and offers you great comfort as well as quick drying. The combination of Mammut® Vertical Motion Technology™ and Mammut® High Reach Technology™ supports almost any movement in alpine terrain. The hood provides effective protection from the elements. Particularly useful: the hood is both stormproof and helmet-compatible. The Eisfeld Light SO Hoody Men combines complete freedom of movement in alpine terrain with weather-resistant properties - a perfect blend!